Does Everything in the Past Dictate the Future? 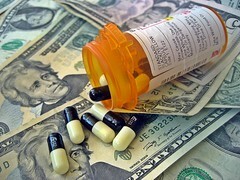 How Will Sustainable Growth Rate Legislation Alter the Healthcare Industry? The House and the Senate have both agreed on a permanent fix to the Sustainable Growth Rate formula. While funding is still up in the air, legislation has been passed that aim to fix the SGR formula by altering it during a transition period and then repealing it. The SGR formula is what’s used to calculate the amounts that physicians are paid under the Medicare program. The SGR formula worked well until 2002, when it called for a reduction in payments to physicians by 4.8%. Furious, doctors rallied against Congress, who then decided to stave off any other scheduled cuts. Of course, this has only deferred the amount that needs to be cut with each passing year. Additionally, may critics of the SGR formula have indicated that there’s no incentive to providers for restraining volume and focusing on quality care. Sustainable Growth Rate (SGR) is the term for an algorithm that helps determine the amount the government pays physicians who accept Medicare. SGR can also often be used as shorthand for referring to The Sustainable Growth Rate Repeal and Medicare Provider Payment Modernization Act of 2014. This bill makes an effort to correct many of the present issues in the physicians’ payment system. The bills proposed changes will have far-reaching effects on the health care system overall, starting with the providers themselves. This new bill aims to combine three Medicare incentive programs as well as adding new programs. Under this new legislation, Medicare will increase the payment amount by 0.5% every year for the next five years. After this point, a transition plan will remove the old SGR formula in favor of new programs. Some of these new programs add other financial incentives for those physicians who would like to test alternative payment models. The new SGR fix also includes bonuses that will be available to providers based on a variety of factors, not simply volume of patients served. Resource Use – This metric measures the quality use of resources in the provider’s clinic. This metric already in use as part of the Value-Based Modifier system and is being consolidated into MIPS. Quality – Intense efforts have to be made to quantify and analyze the quality of healthcare being received by patients. Many of the methods of measuring quality care already in use in many programs (EHR MU, PQRS, and VBM) will be used with MIPS to assess this difficult metric. Clinical Practice Improvement Activities – Every enrolled provider will be graded based on their efforts to carry out activities that are aimed at improving their clinics. This is a new category that aims to give credit to those providers who are making an effort to experiment with new practices that may improve their clinic. Meaningful Use – As another metric being pulled from previous programs, meaningful use will continue to be a representation of the meaningful use of certified EHR (Electronic Health Record) technologies and products. New measures will be added in an effort to prevent duplicative reporting. With these powerhouses backing the new initiatives, it’s easy to speculate that healthcare providers themselves will likely appreciate the new legislation. Organizations and providers are rallying together to help finalize this initiative that will prioritize quality over quantity. The last step that remains is determining exactly how the new legislation will be funded. Since it calls or a 0.5% increase in pay to physicians, the cost of the new legislation is approximately $125 billion over 10 years. That’s a difficult amount to reach, but doing so could spur meaningful changes in the healthcare industry. Collaborations and Partnership: The team that is put together is important and the flow of information and frequency of communication between and among team member is also important. Beyond these fundamentals, sustaining growth requires a strong operational foundation – to reduce the risks to the business over time. Strong Leadership: Leadership needs to be strong and have an active presence and the team needs to be able to trust the leaders. In order to continue growing, healthcare organization must appoint the leaders for each team or department and for each growth stage. And since a company’s needs change at each stage, its leaders need to keep evolving at the right pace. That requires introspection, self-awareness, and a keen sense of strategy–both in the short and long term.